Mike London’s introduction to Kendall Bayne was so random that it’s a wonder they had a relationship at all. Four years later, London, the football coach at Virginia, postponed all of his morning and afternoon appointments Monday to travel to Roanoke for a celebration of Kendall’s life. It was London’s hope that his presence would not create a stir. And it didn’t, even when he was escorted to a first-row seat that had his name on a placard. The only mention of his name came when Jere Bayne, Kendall’s father, delivered a tribute to his beloved 19-year-old daughter and raised his head to acknowledge London. “She was your biggest fan,” Jere Bayne said. Kendall died Thursday after a five-year battle with adrenal cortical carcinoma. She was 19. Like Kendall, one of London’s daughter’s, Ticynn, graduated from high school in 2014. When Ticynn was 4, she became ill with a disease that required a bone marrow transplant, followed by radiation and chemotherapy. London had never heard of Kendall or her plight until the UVa staff was asked in 2011 to sign a football that would be put up for auction at a fundraiser. When it came time for London to sign, the instructions had become lost in translation and London included an inspirational message. That wasn’t the original purpose, so the first football was sent to Kendall and a second was prepared for the auction. That could have been the end of the connection, but it was only the beginning. London and the Baynes spoke by phone or communicated via text for the next four years. “When we beat Florida State in 2011, I called her and Jere after the game,” said London, whose 14-13 victory that night in Tallahassee, Florida, ranks among the most satisfying of his coaching career. In 2013, London invited Kendall to serve as an honorary coach for the Cavaliers’ home game with Duke, and she and her father had a sideline view of the action. A signed UVa jersey that she received on the trip was placed in her casket with other keepsakes before it was closed. After graduation from Cave Spring High School in 2014, Kendall enrolled at Virginia Western Community College because it offered the chance to be around family and friends while undergoing treatment. As late as the fall of 2014, she had spoken with London about the possibility of transferring to Virginia, a process made difficult because her cancer fight prohibited her from completing the required credit hours. “I told her just to let me know and I would do what I could to make it happen,” London said. The Baynes would congratulate London after a win and console him after a loss. In his phone, London has a photograph of Kendall in a UVa football jersey from the time she was his honorary coach. Virginia coach Mike London didn’t fully understand the impact his friendship had on cancer-stricken 19-year-old Kendall Bayne, but he was moved deeply when he found out. One of the last tweets Kendall Bayne ever sent is dated Sept. 28. In it, she writes: Absolutely love getting words of encouragement from my favorite coach. Mike London sent her the text the way he has sent her countless texts over the last four years. The two first got to know each other in 2011, when London autographed a football for her. Bayne was suffering through cancer. Virginia was her favorite team. London could not help but keep in touch, not because he is a football coach, but because he is a father whose own daughter fought and survived cancer as a child. He needed to show support. They corresponded through calls and texts, London sending her inspirational messages along the way. 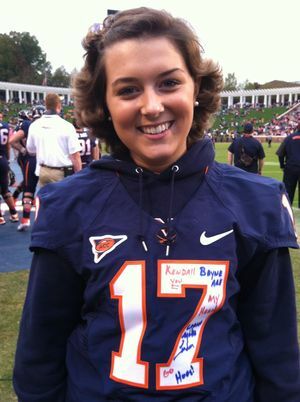 She served as an honorary coach in a home game against Duke in 2013 and stood on the sideline, wearing a UVA jersey London autographed for her. There was hope and prayer that Kendall would be OK. But in early October, her father texted London. Kendall, he said, was struggling. London was crushed. Then, last Saturday morning, her father sent another text. Kendall had passed. She was 19. He wiped his slate clean and took off for Roanoke, Virginia, on Monday, a two hour drive from Charlottesville. His plan was to sit quietly in the back of the church. But the family wanted him somewhere else. London was escorted to the front of the church, where a seat was reserved for him in the first row, in front of the casket. He was floored. The service began. It was beautiful, London said, one speaker after another praising Kendall for her spirit and determination. 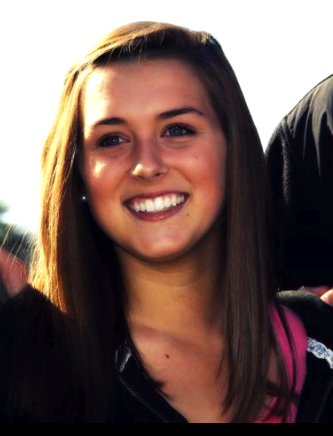 She always had a smile for everyone. Then her father got up. “It’s affected me profoundly because it was through words, it was through gestures that I developed a friendship with this young lady and I never knew the power of what that did for her. This is a tough profession. I’m at peace with who I am and what I am. I’m a football coach. That’s what I do for my job. But I’m a father, husband, all those other things and if it works out that we get these wins and do this, OK fine. When London got back to the office on Monday evening, he gathered his coaches around and put the game against Miami on Saturday into perspective. He told his coaches if your children have activities, whether a game or a recital, go see them. Don’t miss those moments because you just don’t know how many you have.